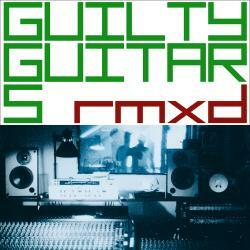 Remix albums are nothing unusual these days, but Hamburg three-piece Guilty Guitars still manage to make their own RMXD stand apart from other suchlike ventures. After two albums and an EP, the band decided that is time to review the songs from their earlier records, and instead of handing them over to outside remixers, they took on that task themselves. RMXD consequently does not only offer simple remixes, but explores new territories, which is why the songs have received consequently new titles. The material of their last CD In Need Of Now from 2008 has been left alone, the emphasis is clearly on their debut Days Of Golden Wealth (2005) with seven tracks, the remainder has been taken from the EP Walk By Your Side (2006). It’s astonishing how different the different pieces sound. Some are readily danceable, others keep the guitar architecture and only add a few beats, and a few have been deconstructed beyond all recognition, like Read Your Thoughts (Unkind) with its jumpy beats and cartoonish vocals. This modus operandi is the strength and the weakness of RMXD. It’s interesting to hear how the band has won distance to their older material, transforming their noisy indie rock into something completely new, but the presence of too many different styles makes this a not too homogenous listening experience. Let’s give them the benefit of doubt by allowing that this was the goal of this record. Being familiar with Guilty Guitar’s previous outputs (I have so far only heard their EP) may help, but in the end RMXD also works as a stand-alone release. The band has revamped their traditional guitar rock into something fit for the twenty-first century, and best of all, they offer it as a free high quality download on their homepage. Lend them an ear and if you are convinced, you might as well sample their regular outputs.